Talk about a sinus problem! 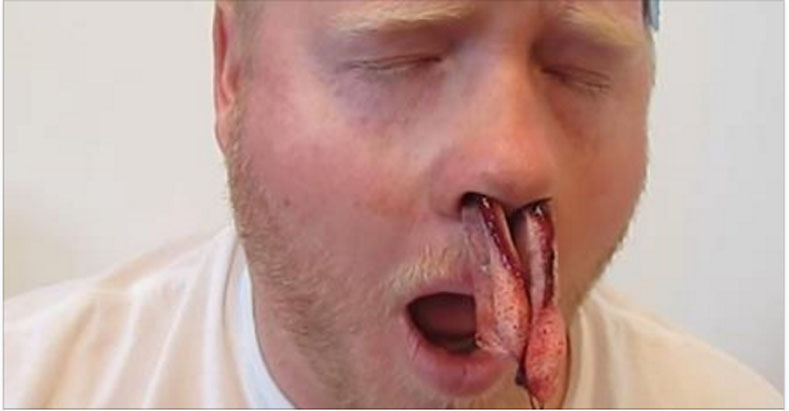 What this man pulls out of his nose is unbelievable. Astounding! Talk about a stuffed up nose! Who would have thought that there was so much room up there? One can only hope that this poor guy got the relief he needed and that his sinuses are soon back in order.